You can use a coffee grinder to finely grind the dried lavender. If you can’t grind it fine enough, you can best cook it shortly in about 3 tablespoons of water. SIEVE that water with a cheese cloth or clean kitchen towel. 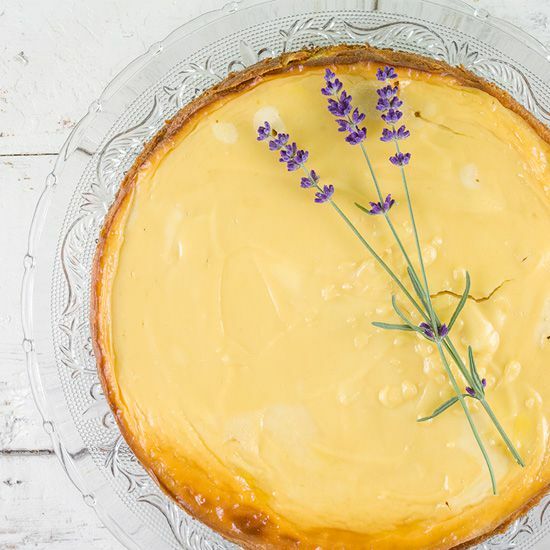 If you’re using lavender that’s too coarse, the cheesecake will have an unpleasant mouthfeel. COAT the spring form with butter and if you like, you can line the bottom with parchment paper. CREATE cookie crumbs, you can use a ziplock bag and rolling-pin or use a blender or food processor. MELT the butter and combine with the cookie crumbs. DIVIDE over the bottom of the spring form to create a cake crust. COMBINE cream cheese, 4 eggs, eggs and flour in the bowl of your standmixer and mix on high-speed until you’ve reached a smooth mixture. 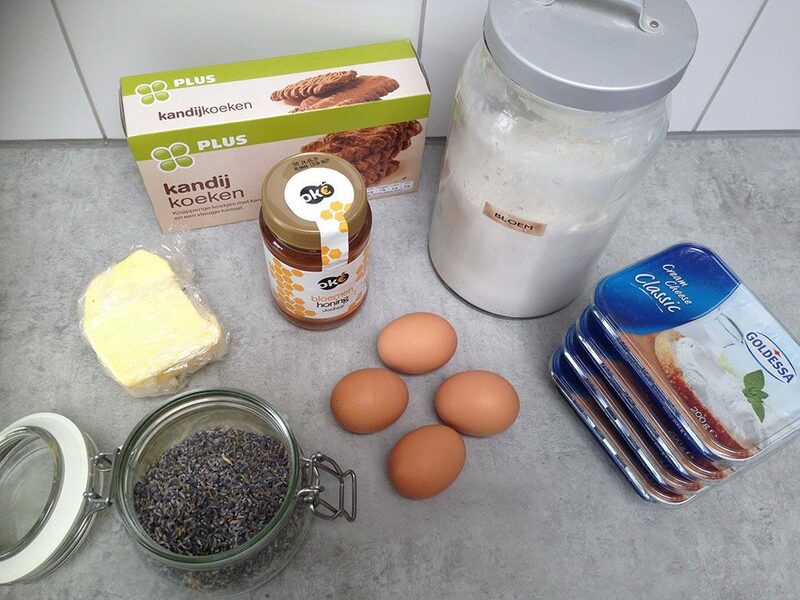 ADD the lavender, but make sure to taste how much you can add exactly. POUR the mixture on top of the cookie bottom. 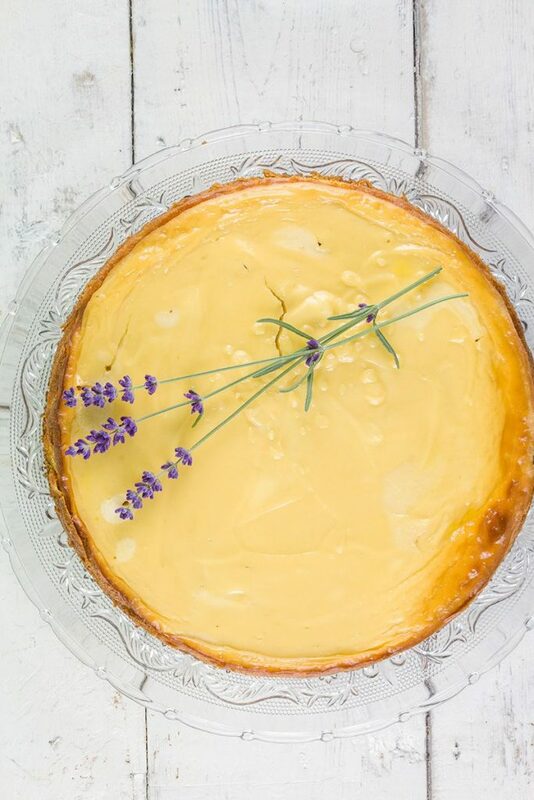 BAKE the cheesecake in the oven for about 30 to 35 minutes, depending on your oven. 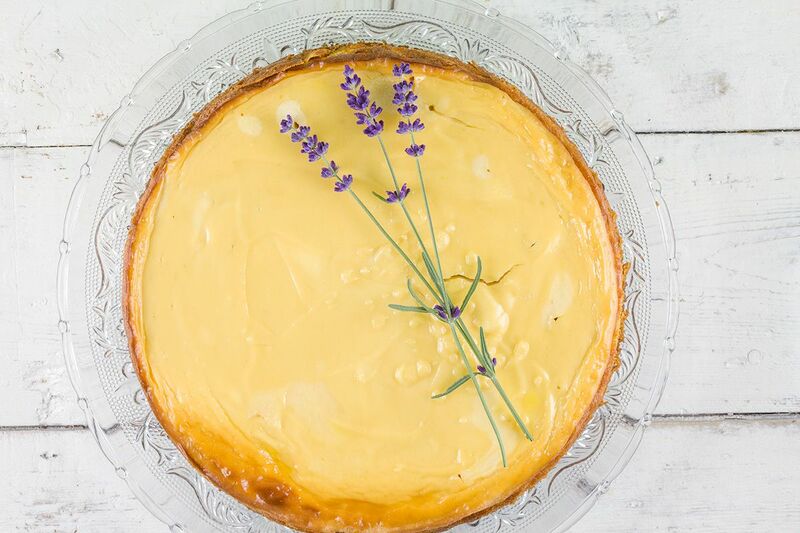 Let the cheesecake cool off completely, garnish with fresh lavender if you like and enjoy!